I just ordered it on amazon [Buy it here so I can make a dollar! ], check it out if you want to improve your thinking to make more money; because really you gotta think like a con artist in most cases to bank hard in this industry. So if it doesn’t come natural, because you are a church going guy, or believe in ethics this book will help. In other news, zero launcher that was removed from Google Play 2 weeks ago, then put back after Google gave them a huge list of rules to abide by is GONE. 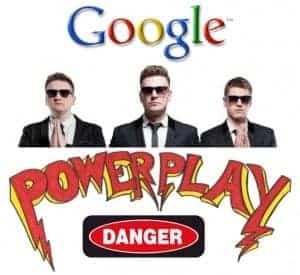 Google most likely power played them into running direct – basically the same way Google got Clean Master to go direct. Those of you that aren’t so heavily involved in mobile app installs like I am, let me tell you a little story. This is not the first time nor the last Google flexes its muscles to make an app owner run direct with them or face their biggest nightmare – getting banned from Play Store. You see, there once was a killer offer by the name Clean Master. I personally did well over a million dollars in revenue on that one (profit margin was 25-30% for those who LOVE to know everything). Then came March 31st. Google Developer Policy update which forbid every kind of high CTR banner you can think of in short. OK, no problem, the strong live on and adapt. And we did. Then G decided being suggestive was definite, and in violation of their terms. They deleted CM from GP. Then gave them a ton of rules saying you can only run their ads if it has name of app and logo no angle, NO call to action. OK, we tried – CTR went from 1% average to 0.1%? CR got totally destroyed. KingMobi (the offer owner) saw this, and they decided to allow affiliates on through CPA Networks. Of course, affiliates are here to make money right guys? So the boys doing pops and redirects decided they can double meta refresh stuff, and hide non-compliant landers and BANK. And they banked for another month. Google found out, they had their reason. And the ultimatum came. You either comply by keeping control 100% of your advertising so nothing like this happens or you will be perm banned on GP! Guess what KingMobi did, because they just had their IPO. They PANICKED. They kicked every off including those of us running direct, sweet talked Google and they made a team who now runs it IN HOUSE direct with them. That was the story of Clean Master. Fast forward to NOW. November/December 2014. History does repeat itself, this time ZERO LAUNCHER GLOBAL is on the monopoly radar. And by the looks of it the same thing is unfolding. Google monopoly is getting to be too much, app installs are in danger. I’m personally glad the European Union wants to break up Google, but I have my doubts about them succeeding in doing so. So guys n gals, if you are running app installs, you know the killer global offers like Du Speed Booster, Battery Saver, Zero Launcher, Apus, Mobogenie and the likes be prepared…. they won’t last long if G can have their way. I am busy working on my own product – I decided it is the only long term solution because that is something Google has ZERO(launcher) control over; is not volatile; there are no caps, or drastic payout decreases every other day, and offers going on pause — something affiliate marketing is subjected to every single day! PS: Who is coming to ASW?? Nice article! Given how Google is acting up, it’s certainly wiser to expand to other verticals and not solely depend on app installs. Yup, always diversify 😀 Stand on multiple feet. Love the lessons shared Attila! I’m not (yet) involved with mobile apps, yet I’ve seen friends’ websites tank from Google updates in the past. Can’t tell whether they did black hat SEO or white hat, the problem is just like you’re saying: Google is getting too big. I think the only protection is to diversify income streams. P.S. Do you build Android apps only? Thanks. Doesn’t matter if you do white or black, google doesn’t want you to do any SEO because they don’t want you to get free traffic. The statement nothing in this life is free is becoming more true for traffic now-a-days. Would you recommend paid traffic to make money selling my own products? Right now I’m focusing on content marketing only. To be honest, I’m not sure of learning more about paid traffic is the right decision. Know exactly the feeling. Was running zero launcher and was hit by decrease payout and google rules. One question – Are you saying google is running the ads for CM and Zero Launcher in house? Google have their own team? Or is it that CM or Zero Launcher are forced to have their own in house team run the ads? Google power played Clean Master into running it direct, meaning Google made an internal media buying team just for KingMobi (Owner of Clean Master, CM Security, etc) and now they run all their apps for them IN HOUSE @ Google. ZERO Launcher is on the exact same power play path. Google is making them comply, but there’s no way in hell they will be able to due to the nature of affiliate marketing and how affiliates love to always push the envelope. So only way to comply will be to have google run it internally for them like they do Clean Master. Google is getting all the s*it and *hit. Hey Attila, I’m doing search, email and FB marketing, and am now getting my feet wet in mobile, particularly because I’m getting ready to launch my new iOS game and want to learn the ins and outs of mobile marketing so that I can properly promote my own game when it comes out… thanks a lot for all the wisdom and info you share in regards to mobile marketing, it’s incredibly valuable information and the fact that you’re sharing it for free is crazy! If you ever want to bounce around some ideas in regards to FB, Search or Email let me know! Also, I’ll be going to AWS in January and would love to meet-up if you’ll have time! i know this because i have a few dozen android apps 🙂 if you are coming to vegas, you might wanna check out the private mastermind im gonna be holding, it will be so gold all who attend will leave vegas a winner. stay tuned to my mailing list for information bro! I just subscribed to your list and am waiting to get the join email. Love your posts on STM, and hope to see you at ASW! 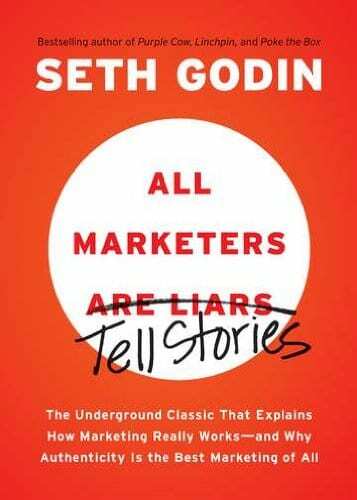 This book was a real eye opener for me, a true aha moment. Will be sure to try some of the things it talks about in my next campaigns. What was the biggest lesson you have learned from this book? Hi, I was hit hard with the zero launcher being under scrutiny of google, and now APUS is gone as well. I hope there will be new offers because if things continue on this track, app installs don’t really have a bright future ahead. Affiliate marketing in the mobile space is going to get harder in 2015 I think…. What is your plan for 2015? Where do you think the mobile space is heading into? What about games? Are they good vertical to look into? just because google is trying to cramp down on affiliate marketing doesn’t mean a thing.. we fight back!! stay tuned! you won’t wanna miss the new years post! thanks for your sharing bro, now i can start to prepare myself for this drastic change that going to happen anytime from now. is stuff like education, health, make money going to work well in mobile? my understanding is we can’t easily keyword targeting, demo targeting. banner putting at apps seems not suitable too, because majority are entertainment gaming traffics. yup ever green is always going to work well, problem with google play apps is google’s infatuation with wanting to crack down on affiliates, and since they can’t directly they flex their muscles [they own google play] and come up with newer and newer regulations directly for app developers. yes is true.are too many.